Lincolnview and Crestview will be in action Friday and Saturday, while Van Wert will play Friday and again on Tuesday. Lincolnview (10-8, 5-2 NWC) will host Paulding on Friday before heading to Arlington on Saturday. The Lancers snapped a three game losing streak with a win over Ada last Friday then were scheduled to play Antwerp on Monday, but the game was canceled due to weather and will not be made up. Lincolnview enters the weekend averaging 55.2 points per game while allowing 51.4 points per outing, while Paulding (8-9, 3-3 NWC) scores an average of 56.6 points and gives up 55 points per game. Friday night’s contest will be the final home game of the season for Lincolnview. The Lancers won last season’s game 65-54. Saturday’s opponent is Arlington, a team that has won six straight entering the weekend and is 14-4. The Red Devils will host Arcadia on Friday. Arlington currently averages 55.3 points per game and allows just 45.3 points per contest. Lincolnview won last season’s matchup 55-39. Winners of 16 straight, Crestview (18-1, 5-1 NWC) will travel to Spencerville on Friday then will host New Knoxville on Saturday. The No. 2 ranked Knights defeated Paulding and Wayne Trace last weekend and are averaging 58.6 points per game while allowing 39.9 points per game. 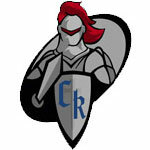 Crestview has allowed 40 points or less 12 times this season. Spencerville (3-15, 0-6 NWC) is average 39.2 points per game and gives up 54 points per outing. Crestview won last year’s game 89-43. If the Knights win Friday and Columbus Grove defeats Ada the same night, Crestview and Columbus Grove will meet next Friday with the NWC title on the line. A win by the Knights would force a co-championship. New Knoxville (3-16) will play at Parkway on Friday. The Rangers currently average 33.5 points per game and allow 57.1 points per contest. The Knights won last year’s matchup 68-42. Saturday’s Crestview-New Knoxville game will air live on WKSD 99.7FM. The Cougars (10-9, 4-3 WBL) defeated Bath on Friday and lost to St. Henry on Saturday. Entering Friday’s game against Celina, Van Wert is averaging 52.4 points per game while allowing 52.9 points per game. Celina (5-14, 3-4 WBL) has lost five straight and seven of eight and the Bulldogs average 52.2 points per game, while giving up 62.1 points per contest. Celina won last year’s game 50-49. Lima Central Catholic (9-10) will host Celina on Saturday before heading to Van Wert on Tuesday. The Thunderbirds currently average 57.8 points per game and allow 54.5 points per contest. Tuesday night will be the final home game of the season for the Cougars. Lima Central Catholic won last year’s game 58-51. Friday’s game against Celina and Tuesday’s game against Lima Central Catholic will air live on WERT 1220AM/104.3FM.